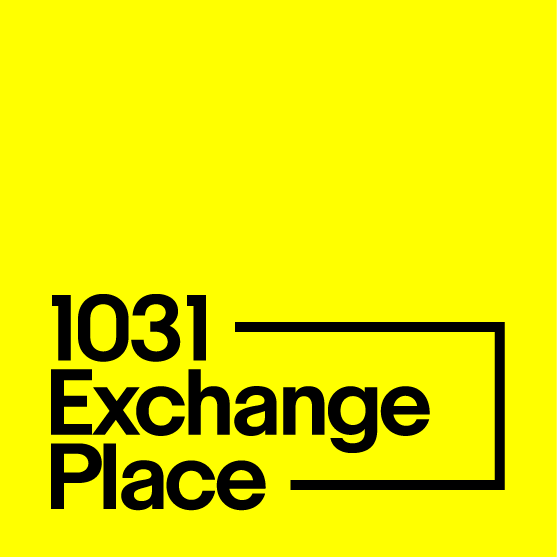 The property you are selling or have sold in a 1031 exchange is referred to as the Relinquished Property, while the property you will acquire with the proceeds is called the Replacement Property. To qualify for a 1031 exchange the Relinquished Property needs to have been an investment property or one held in a trade or business. Likewise, the Replacement Property needs to be an investment or business property. Generally speaking, in an exchange, you may sale any type of investment property and replace it with any other type of investment property. For example, you can sell land and buy an office building; sell an office building and buy an apartment complex, or sale an industrial building and buy a retail strip mall or raw land. You can sell one property and replace it with one, two, three, four, or more properties. By way of illustration, you could sell 100 acres of farmland and buy two rental homes, an office condominium, two Family Dollar Stores, and a Post Office leased to the federal government. From the time you close on your relinquished property, you only have 45 days to identify replacement property candidates. After the 45th day, you cannot change your mind from anything other than your identified choices. It is in your best interest to have several replacement property alternatives to choose from. 45 days is a short period of time to do preliminary due diligence and many exchangers find themselves scrambling for suitable options as their 45th day comes. Because of this, 1031 Exchange Place began offering assistance in this process. We’ve spent over 20 years in the 1031 industry and have a team of longtime affiliates that specialize in 1031 exchange replacement property. In fact, together they provide the widest variety of solutions available. Our affiliate team can augment the efforts of your real estate agent or financial advisor, assisting them in locating suitable replacement property alternatives. This can be a stressful time: the stakes are high. You could end up paying tax or investing in a property that you’re not all that excited about. Let us help. We can reduce the stress of finding a suitable replacement property within the time restraints required by law. It has been our experience that most exchangors are baby-boomers or older seeking passive income. They don’t want the hassles or headaches associated with management-intensive real estate. Their main goals the preservation of principal and secure monthly income direct deposited into their checking account, without any ongoing active involvement. Below are the three most popular choices for passive 1031 dollars. If you’ve done an exchange before, there’s a good chance you’re already familiar with these options – now you can find all of them in one place! Net-lease means the tenant pays the taxes, insurance, maintenance, repairs, and utilities. For simplicity and security, many exchangors prefer single tenant properties, with leases guaranteed by a regional or national tenant, such as Walgreens, AutoZone, Tractor Supply, Dollar General, Goodyear, DaVita Kidney Care, Verizon Wireless, or O’Reilly Auto. Most net-leases are 10-15-year terms, with multiple renewal options. Tenants in Common Properties or “TIC’s” are a very popular choice for 1031 exchangers looking for secure monthly income. In a TIC property, owners take undivided, fractional interest of an entire property. Through TIC ownership, owners of fractional interest enjoy the same benefits as a sole owner. TIC’s came into popularity because they allowed most investors access to own (a portion of) an institutional-grade property with a minimum investment. With minimums as low as $50,000, investors may choose to own fractional interests in multiple TIC Properties for maximum diversification. Much like a TIC property, a Delaware Statutory Trust allows a 1031 investor to purchase a fractional interest in high-quality property, but with a couple significant differences. Instead of owning an undivided interest in one property, a DST allows you to own a prorated share of a portfolio of income producing properties. The ability to diversify your 1031 dollars can be a real advantage toward protecting your retirement income. For example, you might place $100,000 in a DST consisting of four medical properties, $100,000 in one that has a 300-unit apartment complex, and $100,000 into another, which has a dozen single tenant net-lease properties leased to national tenants. With $300,000 of exchange proceeds you were able to diversify into 16 properties in differing locations and industries. Another distinction, is when the property or properties within a DST is leveraged. With a property you acquire on your own, you pay for an appraisal, supply the bank with your financials and tax returns, pay closing costs and origination fees, and put up with the time and hassle of dealing with a lender. A DST holds title to the property or portfolio of properties, while you and the other investors own beneficial interest in the DST. The trust already owns the property and already has financing in place when you invest in the DST. No shopping or qualifying for financing. Also, these loans are typically non-recourse, very seldom found at your local bank. A DST is professionally managed and can are available with portfolios of debt-free properties, or leveraged, if you need debt replacement in your 1031 exchange.